By Peninsula Sports Medicine Group|June 25, 2018|Back pain, Hip pain, Latest News, Neck pain|Comments Off on Where is your pain really coming from? When pain is felt at a different location from where the pain is being caused, this is called ‘referred pain’ and is actually more common than you think. Exactly why this happens is a little complicated, and in fact, we don’t yet understand everything about the way that pain is processed. Pain is usually felt when something causes damage to the body, sending an electrical impulse to the brain. The brain receives this information and process it to make sense of which part of the body the signal is coming from and what kind of pain it is. When the brain thinks that the pain is coming from a different area than where the damage or signal is actually coming from, this creates the phenomenon of referred pain. Sometimes referred pain is easy to explain, such as when a nerve becomes injured or irritated, causing the pain to be felt along the length of the nerve. This often feels like a sharp, burning pain that runs in a strip, along the skin. Other examples of referred pain are more difficult to explain and in some cases seem to defy explanation. Perhaps you have heard about the strange phenomenon of phantom pain where amputees continue to feel pain as though it was in the place where their limbs used to be. Muscular trigger points can also cause referred pain. The mechanism behind this is a bit trickier to understand, but is thought to be explained by tight bands of muscle tissues that cause pain to be felt in predictable patterns around the body. We also know that not understanding or being afraid of pain can make pain feel stronger. In rare cases, people who have pain in one hand can feel pain just by seeing their other hand moving in a mirror. There are many other fascinating aspects to pain, and understanding how it works is an important part of managing your symptoms. 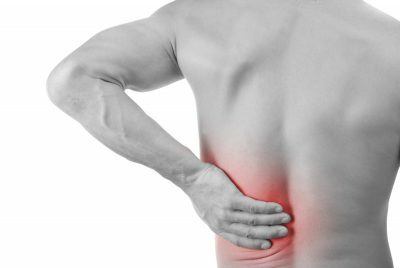 To understand how referred pain may be affecting you, chat to your physiotherapist who can help with any questions. You can BOOK ONLINE or call your local clinic.